Professional installations demand accuracy. 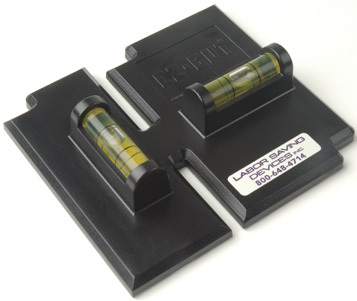 The EZ-CUT™ Template and Level is a template for cutting out single or double gang boxes and includes integrated vertical and horizontal leveling vials to assure you are positioning your box in a perfectly level position. This lightweight tool makes your cuts accurate and eliminates the frustration of using a separate level for your gang box installations. Place your electrical boxes straight the first time.